Much like the abundance of character cones that showed up back in February and March, even more sweet treats have been announced for Walt Disney World and Disneyland Resort this Spring. 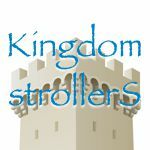 Some of them might even look familiar, as we’ve gotten around to reviewing them early! However, stay tuned as we review the rest of these treats in the weeks to come. 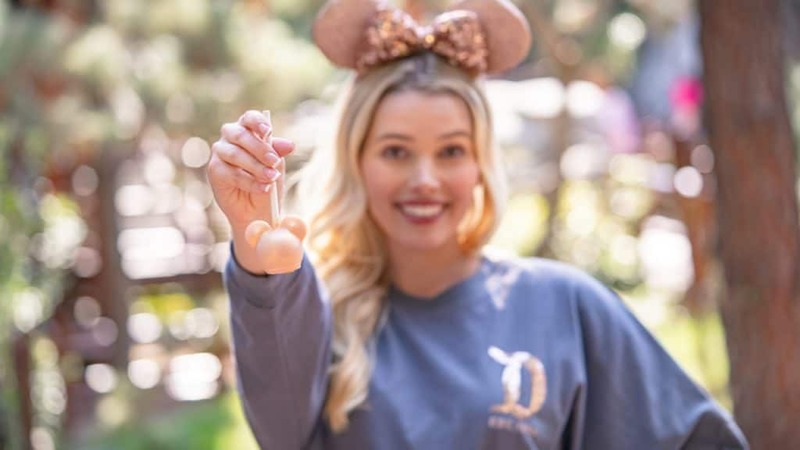 At Disneyland Resort, you can find this lovely Briar Rose Gold Cake Pop at various candy shops throughout the resort including Bing Bong’s Sweet Stuff, Marceline’s Confectionery, Trolley Treats, and Candy Palace. At Walt Disney World Resort – you can get your rose gold fix with several options throughout various resort hotels. At Disney’s Yacht and Beach Club Resort, you’ll find a Rose Gold Orange Cream Tart at the Marketplace at Ale & Compass as well as the Beach Club Marketplace. This orange custard curd tart is finished with vanilla bean mousse and white chocolate glacage and is topped with white chocolate ears. Across the lagoon at Disney’s BoardWalk, the BoardWalk Bakery is serving up a Briar Rose Gold Scooter Pie – a Minnie-shaped cookie sandwich with marshmallow, raspberry white chocolate, and a Briar Rose Gold Minnie bow.